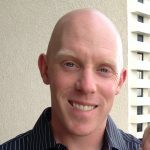 This post is written by Bryan Christopher, NCTE’s P12 Policy Analyst from North Carolina. 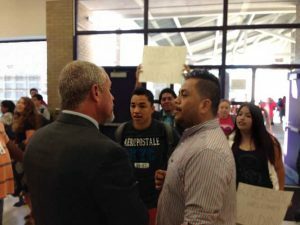 It is the third part of a series about Wildin Acosta, an undocumented student. You can read the first part here and the second part here. In Part 2, the students requested and obtained funding to travel from North Carolina to Washington, DC to meet with federal representatives. The students briefed Congress on the harmful effects of ICE raids targeting children in their school and community, answered questions in both English and Spanish for print, TV, and radio media, and participated in a roundtable discussion with the Department of Homeland Security, Secretary King, and the Department of Education. They told policymakers Wildin was a good student, that he stayed out of trouble and was involved in clubs and sports. Secretary King asked them questions about his educational opportunities at Stewart Detention Center (Stewart). My colleague showed him the package of homework assignments Riverside teachers mailed to Wildin, which was rejected and returned to sender. The trip created more media coverage, so my students were disappointed that something more didn’t come from it. At graduation students again donned white wristbands in a show of solidarity. The student body president and salutatorian both mentioned Wildin in their speeches and called for equal opportunities for all students. I told them that, while it feels like they failed because Wildin wasn’t with them, someday they’ll realize what they’d accomplished. But my consolation was little help as they learned that, while they received their diplomas, Wildin was in solitary confinement. Following Wildin’s 10-day stint in solitary, a student wrote an open letter to Jeh Johnson. News outlets reported more ICE raids, and the New York Times mentioned Wildin again in articles on June 24 and July 4. Then, on July 19, the BIA reopened Wildin’s case, giving him a chance to argue for more permanent asylum in federal court. 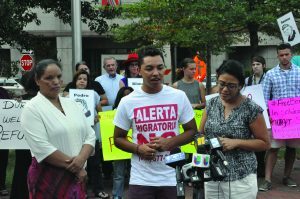 Advocates barraged Deputy Secretary of Homeland Security Alejandro Mayorcas’s office with phone calls requesting Wildin’s immediate release. Calls were “noted,” but he remained at Stewart. Three weeks later a judge scheduled his bond hearing for August 9. Within hours of the announcement dozens of Durham teachers, students, and community advocates made plans to attend. The hearing was quickly cancelled and officials instead agreed to release Wildin on $10,000 bond. The money was raised in less than 48 hours. 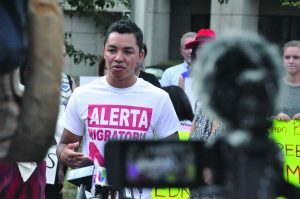 More than six months after his arrest, Wildin finally returned to Durham on August 12. After two weeks of recuperation, he held a press conference. Photo by senior Ray Starn. He spoke to reporters for more than an hour about his experience, beginning with his life in Honduras. He described the death threats he received from gangs that prompted him to leave, the officers he bribed at the Guatemalan and Mexican borders, getting stopped at the US border and spending several days in the “ICE Box” before joining his parents in North Carolina. He talked about his time at Stewart, the other teens he watched come and go, and the dark days he spent in “that place” while his classmates walked in June. He said his darkest moment came one day in July, when he asked an officer when he’d be free. He recounted the phone call he received when his family had raised his bond money. He jumped for joy in celebration and told the advocates in the audience that, if they ever needed anything, to please call him. He vowed to fight for the North Carolina teens who remained at Stewart and refused to rest until they, too, are released. When the press conference ended I met Wildin for the first time. He posed for photos with my students, some of whom had also never met him. Wildin returned to Riverside High School on August 29. He’ll earn his final three credits this fall and will graduate in December. I wrote last May about knowing when to let my students lead. The first three months of the #FreeWildin campaign taught me how to recognize when it’s best to stay out of their way. My students did so much, so fast, that it was clear they didn’t need my help. But when their advocacy efforts began to stall, I felt their frustration, shared their disappointment, and wanted to help. The last three months showed me how, when their leadership stalled, to serve them once again. To get Wildin back, they needed to lead and I needed to follow. Together we restored his opportunity to graduate, and my community, school, and teaching will never be the same. Note: The cover photo is by Julie Farkas.